This works best with a skirt that zippers up the middle in the back. For the measurements, I cheated and just traced around a pencil skirt I already had. 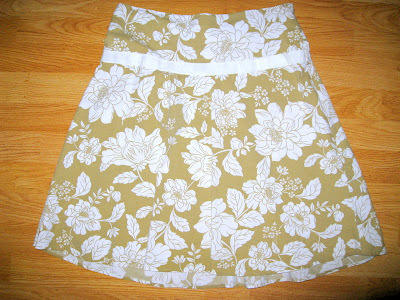 Other than the fact that the skirt is cut on a bias, which makes it harder to work with, it came out great! Step 1: Take off any embellishments. 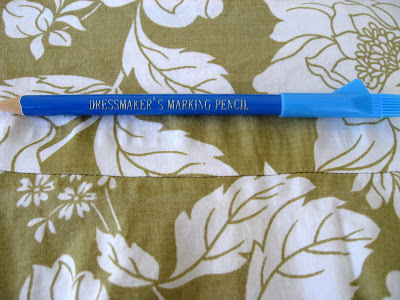 Use the plastic brush eraser end of a fabric pencil to buff out the holes. 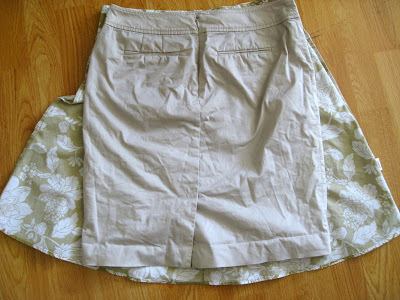 Step 2: Turn the skirt inside out. Position your favorite pencil skirt on top of the skirt you're altering, making sure to align the waistbands. Trace around the pencil skirt with a ballpoint pen or fabric pencil (if your skirt is light and your pencil dark, you may want to turn the pencil skirt inside out, too). 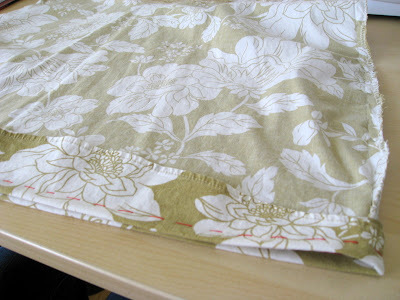 Step 3: Pin and baste the layers of the skirt together about a half inch away from the line you just drew. Make sure you're smoothing fabric from the middle out. 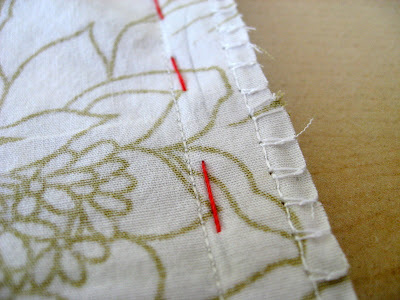 Sew your new side seams on the line. 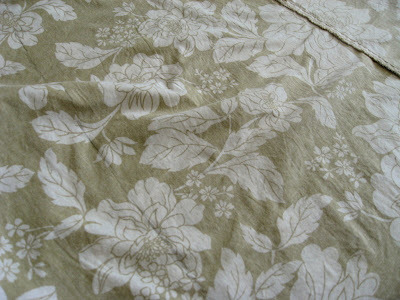 Step 4: Cut off the extra fabric, leaving about a half-inch. Zig-zag stitch just over the edges to close them in and prevent fraying. Step 5: If you like the length of your A-line skirt, just turn up the bottom hem to form a straight line across from the shortest point of the A-line skirt (usually the side seams). 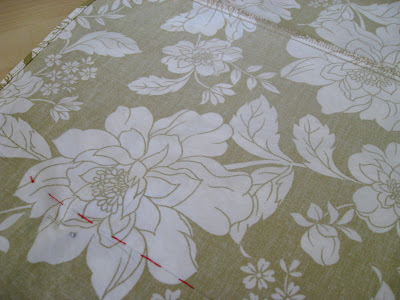 Bring it up about another inch to allow yourself space to hem. If you want it shorter, you can raise it higher, too. Many pencil skirts usually have a 1"-2" hem, so you may want to go that route (I only had about enough allowance for a half-inch hem to keep it work appropriate). Pin and baste. Step 6: Sew the hem. I opted to do two lines for aesthetics (just looked sort of sad with just one). 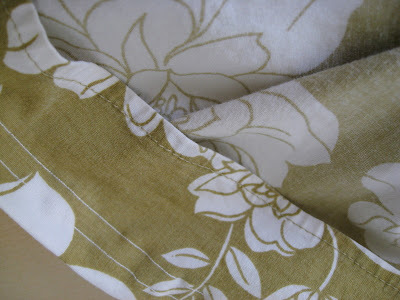 Step 7: If you don't have a lot of leftover fabric from the bottom hem, just leave it be (like I did). 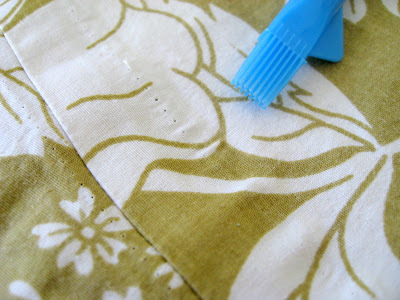 If you have quite a bit of fabric leftover, trim and edge like you did with the side seams.